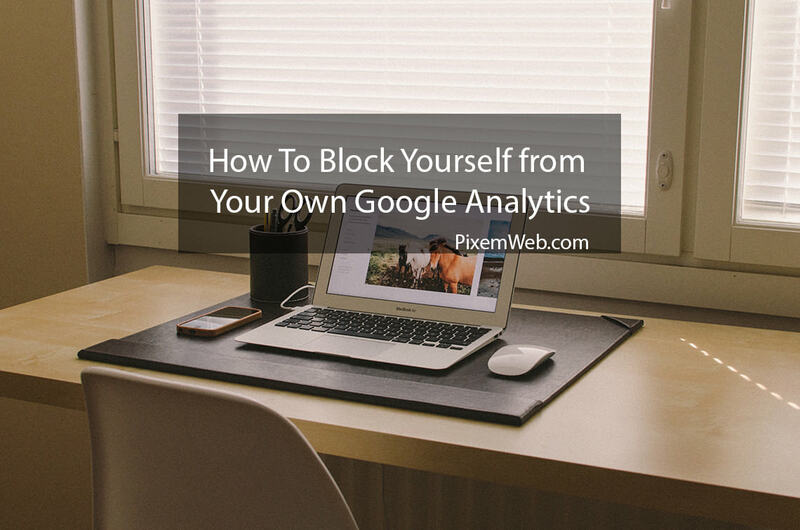 Google Analytics is an awesome tool for website owners. It’s free to use and provides you with a wealth of information about how many people are visiting your website, what devices they are using, what country they are from and even information based on gender and age which might be helpful if you’re targeting a specific demographic. There is one problem though. Every time you visit your own website, you are distorting your numbers which isn’t ideal. If you want to get an honest look at your web stats then it’s important that you block your own visits to your website. While there are a few ways to do this, in this post I will focus on the simplest way to implement this. Below are the steps. Expression that are equal too. You should now no longer have your own visits to your website counted in the stats which will give you a more accurate depiction of the visits you get. It should also be noted that this works only with the IP Addresses you provide not based on your computer. So if you visit different places frequently, you might want to consider repeating this process for those IP Addresses as well. Google Analytics is a great tool and with the above tips, you will now be able to get an accurate depiction of your website visitors. If you enjoyed this article, feel free to share. Also if you’re looking for a new WordPress Theme, check out Evo Pro.